Rustic yet elegant, hefty yet graceful. 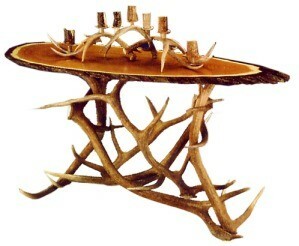 This elk antler sofa table will be the finishing touch to many places in your home. Don't think you have to hide this beauty behind the sofa. Rustic yet elegant, hefty yet graceful. 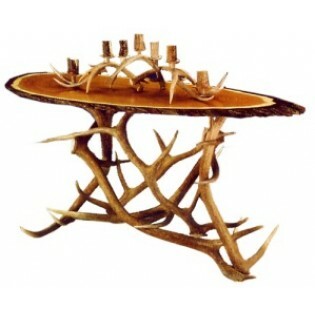 This elk antler sofa table will be the finishing touch to many places in your home. Don't think you have to hide this beauty behind the sofa. At the head of the stairs, along the foyer wall any where you choose to put it, it makes a statement. The butternut top with natural bark edge adds warmth and style to this beautiful piece.